This, along with the loss of experience due to an aging workforce and fewer operators actually in the plant, are combining to create the perfect storm of skills shortages. And let’s not forget the topics of sustainability and security which are only growing in importance. To unlock the next levels of manufacturing efficiency and productivity, a transformation is needed in the fundamental approach to managing a factory or plant. Many of the drivers behind this transformation are covered by that ubiquitous concept known as Industry 4.0, and the report addressing it that was delivered by the Industrie 4.0 Working Group. I’m talking about enabling technologies like full Ethernet IP-based networks that lay the foundation for the Industrial Internet of Things. 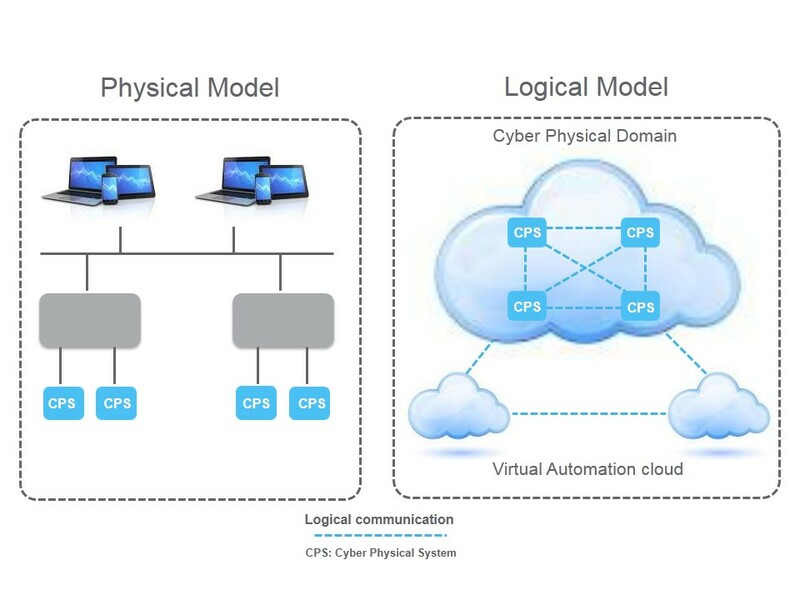 And the new generation of offers and systems that are the cornerstones of the industrial world – like a DCS which innovates on a foundation of smart objects (more about these later) or a drive or controller with Ethernet at their core. All the work we’ve been doing in this area convinces me of one thing: that achieving these next levels of efficiency and productivity will be thanks in a large part to “smart assets,” which I believe are the building blocks of the Smart Factory. The traditional concept of the process control system – in particular the notion of “centralization” – also needs to be completely reassessed in order gain new ground in manufacturing efficiency and productivity. We need to move away from the concept of a process control system that collects information about the process and its assets in order to facilitate production decisions, and move towards a process automation philosophy built around smart objects which contain all the available data about that asset. More simply, we need to move from a process control system that has a central “brain” which knows all about the assets in the factory to a model where each asset knows everything about itself. By combining this shift with operational intelligence (big data, analytics, asset performance information), we can empower a factory’s assets to optimize their own productivity and efficiency within the broader context of the process control system. They become “smart” assets. Smart objects – Smart objects are reality today, already showing up in next generation DCSs. Extensible and open, smart objects generate a digital model of a physical asset in the virtual environment. They have an unlimited number of “facets” to which we can attach different data sources. Any user, be they operator, maintenance engineer, energy manager or plant manager, can access these facets directly to find all the information that is available about that particular asset. The key here is “context.” Bringing data together and combining different dimensions and parameters in the context of one another provide new insights into the performance of an asset. For instance, combining power and process data can give us valuable energy information in the context of production. These are just two examples that are already working for many of our customers. Imagine the level of insight into a plant that will be achieved when five or ten different data sources are combined. Hyperconnectivity – This also enables the Industrial Internet of Things by bringing accessibility to smart objects. Smart objects can only contribute to the Smart Factory if they are fully interconnected within the very framework of the factory, accessible from the field and right through to the enterprise level of a business. Hyperconnectivity is already available. Building a fully transparent network from field to enterprise that bridges all domains, including power, process, building management and IT, brings the full richness and context of data from anywhere in the plant (eg smart sensors) and makes it visible and accessible. This hyperconnectivity is the key to unlocking the full power of the Industrial Internet of Things. It’s all about the data, but if you can’t access it, all the data in the world won’t help you. Intelligence – Generating value from smart assets comes from being able to move from passive process automation and decision support towards intelligent, semi-autonomous decision making systems. For example, today the process control system receives single dimension sensor data from an asset. If a certain fixed threshold is exceeded, a “passive” alarm is generated, requiring operator intervention to assess the relevance of this alarm and the risk that it might be an early indicator of process deviation from the plan. 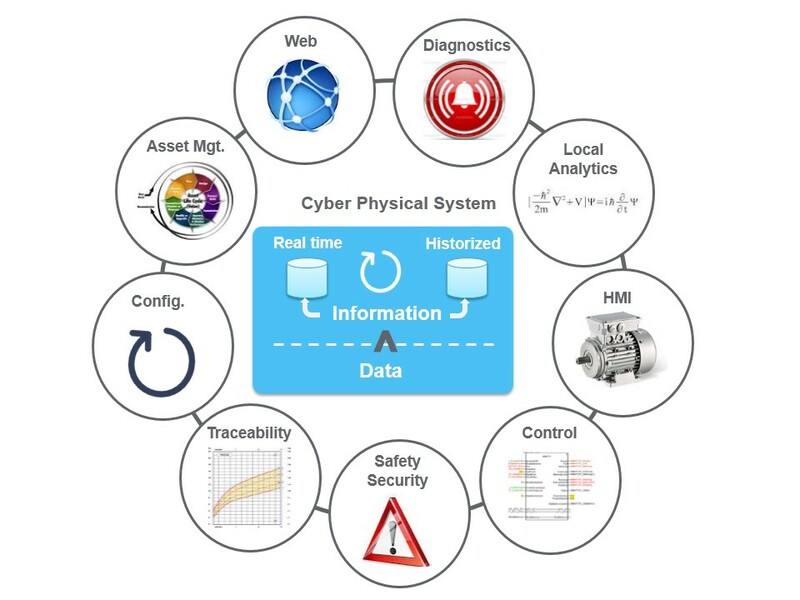 Injecting intelligence into the process control system, and more specifically into smart assets, enables those assets to leverage their available data sources to get to the next generation of, say, alarm management where we can avoid routine intervention and become semi-autonomous. With the help of this intelligence, we evolve from alarm management to risk management. Building a smart factory with smart assets at its core means reaching those desired new levels of productivity and efficiency. It means smart products that leverage advanced traceability, connectivity and intelligence. For businesses, it means being able to address the talent crunch through more autonomous, smarter process automation systems that require less human intervention. It means more flexibility in manufacturing by allowing late changes and robustness to perturbations in the supply chain. All of these advances facilitate dramatically new business models that deliver innovative value to their markets. These values, all delivered by the smart factory, cannot exist without a solid foundation of smart assets. What’s your vision of the Smart Factory and the role of smart assets?